1) Makeup Organiser by The Makeup Box Shop. Price: Approximately 130 MAC lipsticks! I'm on a shopping ban right now and I don't know if I should let myself buy these or not. I've been wanting to try them and I'm down to my last couple of Bioré makeup wipes (which by the way, are horrible!). They're fairly cheap at $7.95 for 25 wipes which is comparable to ordinary brands from Priceline. Price: 1/2 a MAC lipstick per pack or 7 MAC lipsticks for a years supply. 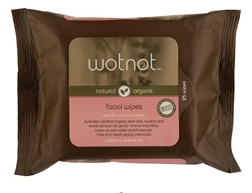 I got the Wotnot wipes in my Bellabox a while ago. They're pretty good. I haven't sealed them properly and they're still moist - and they've been open for a good 2 months! You can also get them in a refillable travel container with a mirror so that could be pretty handy. I feel jewellery is always a good present. Or many skincare? 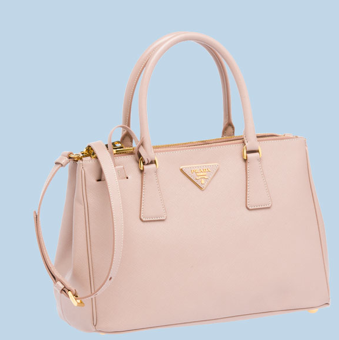 A really nice Mimco bag! They often have some great sales on their webpage. personally I want a slow cooker for my 20th soon, haha a little strange yes but I have enough jewellery and can be a little picky sometimes. Those floor length mirrors which double as jewellery stands are pretty cool. Price in MAC lipsticks, I love that! Seriously? You don't want anything? How about MORE MAC lipsticks? haha! 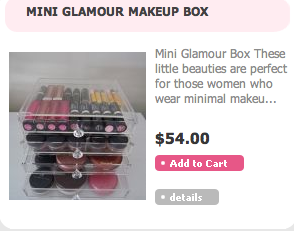 I'll go with the makeup storage/drawers. can also be used as storage for jewelry/accessories. Please don't post spam on my blog.